KI Conequip, a two-year old company in the CE industry is on a fast expansion mode. It launched a new Pump Ki CP 1450 D at the bauma Conexpo India 2018 tradeshow. Said Bipin Chaudhry, General Manager, "Business has picked up despite the tough competition. Currently, 40 of our machines are working at different sites, and orders are coming mostly from Gujarat, Rajasthan, Maharashtra and Madhya Pradesh. In this short time, we have grown by almost 20%." 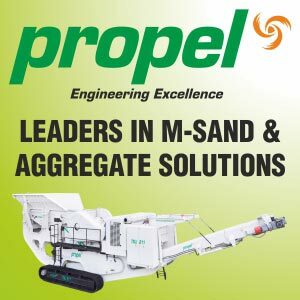 The company’s manufacturing facility in Ahmedabad is producing 4-5 units of concrete batching plants every month, and a new unit is slated to come up in Feb 2019. "Once our new unit gets commissioned in a month or so, our production capacity will increase to 10-15 units per month," informed Chaudhry. "What sets our products apart from our competitor’s products is the software, which we have developed in-house. It enables ease of use with a fully automatic start up, and smooth. Our plants are easy to install and of very low maintenance. Our engineers provide training to the customer’s operators onsite, once the plant has been erected and commissioned." KI Conequip is expanding its product range despite concerns for the next year in view of the general elections. "We are not worried about the ongoing projects, but upcoming projects could get stalled for some time, which will lead to a slowdown in the industry. We are confident that the infra sector will continue to grow and will drive the CE market, hence, KI Conequip has launched a new pump and it will launch a transit mixer by April 2019. We are selling our products through our 5 dealers, directly and through online channels." KI CONEQUIP offers concrete batching plant through its comprehensive and innovative range of in-house designed products. It specializes in design and manufacture of granulation, PLC automation systems, and automated material handling equipment. "Our extensive research has led us to produce a variety of high quality, innovative equipment and systems for material handling applications in various industries," informed Chaudhry.